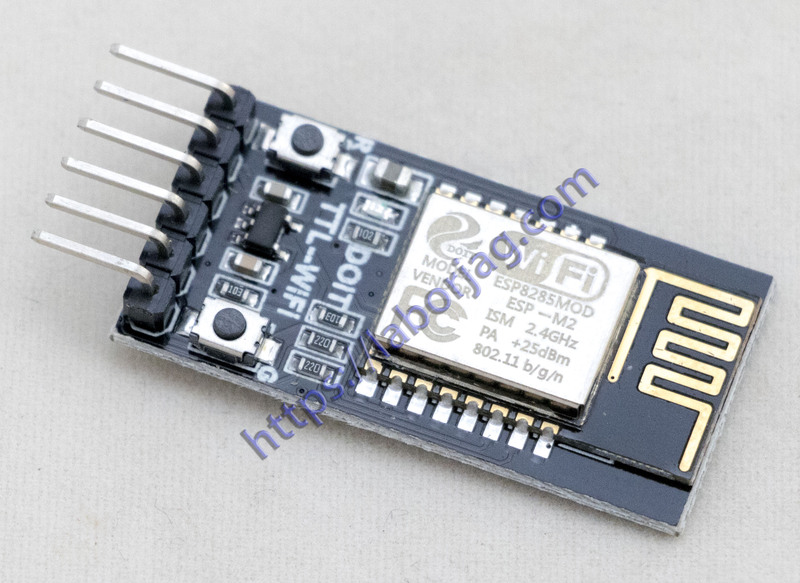 TTL-WiFi is designed and developed based on ESP-M2 WiFi module from our company Shenzhen Doctors of Intelligence & Technology Co., Ltd., which is extracted the TTL, EN, STATE and other pins. 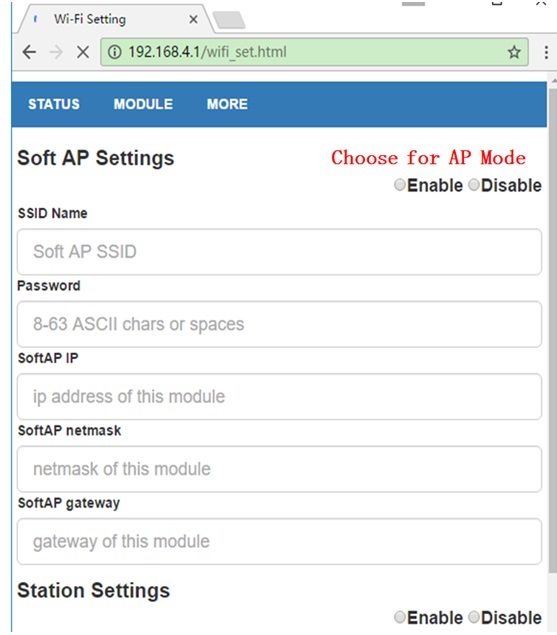 Importantly, the TTL-WiFi is already built-in the serial transparent transmission firmware programmed by our company (SZdoit), which can realize the transparent transmit the data to the cloud on the real-time, together with low-power control, status indictor. This board can replace the old wiring serial WiFi device to realize the data collection and control. This module is already built-in the HTTP Server. Thus, it can configure the parameters by the browsers on pc or mobile phone or other smart devices, without of need of any other tools or Apps. 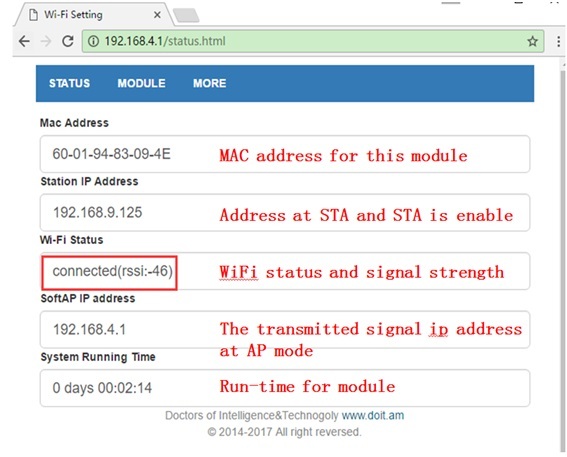 In the factory settings, the module works at AP mode, and the signal is “Doit_WiFi_xxxxxx” , where, “xxxxxx” is the last 6 number of MAC address of this module. 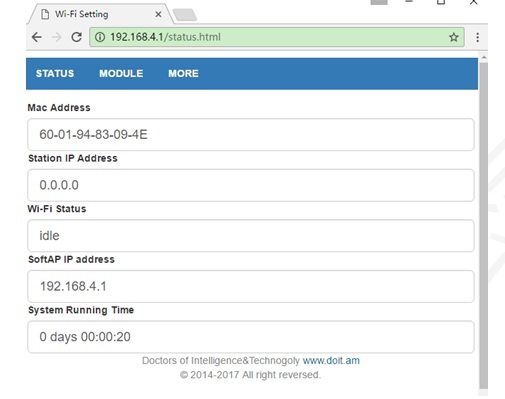 Then, one can connect this WiFi hotspot by PCs or phones , and other smart deveices (supportable Android and Ios, Windows) with no password.